Mitchell (Michael) Louis Westheimer. Image available on the Internet and included in accordance with Title 17 U.S.C. Section 107. 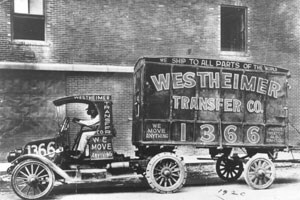 Westheimer Transfer and Storage Company. Image available on the Internet and included in accordance with Title 17 U.S.C. Section 107. Mitchell (Michael) Louis Westheimer Grave. Image available on the Internet and included in accordance with Title 17 U.S.C. Section 107. WESTHEIMER, MITCHELL LOUIS (1831–1905). Mitchell (Michael) Louis Westheimer, businessman, was born in Baden, Germany, on August 22, 1831. He moved to Texas in the 1850s, and married Babette Betty Hirsch on August 26, 1860. Westheimer became naturalized as an American citizen in 1867, and with his wife raised sixteen children: eight of their own, three orphans, and five children of relatives. Westheimer purchased at auction a 640-acre tract extending from what is now Bellaire Blvd. north beyond what is now Westheimer Road in Houston. The tract became known as the Westheimer Plantation. It featured a large, plantation-style residence on the site of present Lamar High School, stables for the livery, and a racetrack. In the 1860s Houston had no public schools, so Westheimer built a school on his farm, hired a teacher, and allowed area children to attend free. A miller by trade, Westheimer owned a flour mill in Houston, became a hay merchant in the 1850s and 1860s, and built the first streetcar rails in Houston. He spoke seven languages and often served as an interpreter for the bank and post office. Beginning in the 1880s Westheimer opened the Houston Livery Stable and eventually brought over five nephews from Germany-Max, Sidney, Adolf, Sigmund J., and David. Some of his nephews formed in 1883 the Westheimer Transfer and Storage Company, which has been in operation ever since, and a funeral home. 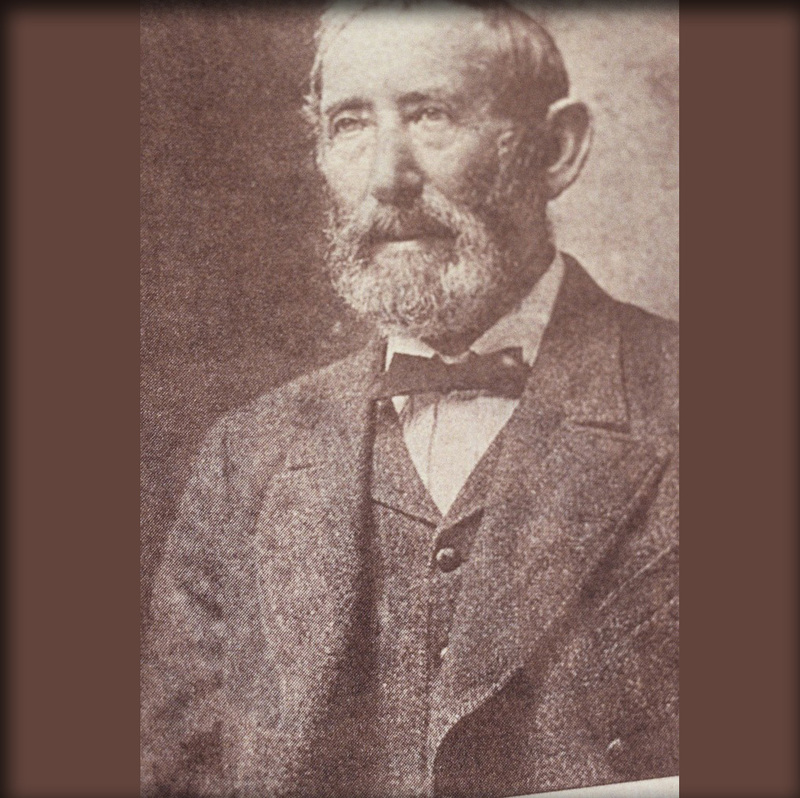 Westheimer and his family became leaders in Congregation Beth Israel, the oldest continually active affiliated synagogue in Texas, and he served as an officer and trustee of the congregation in the 1870s and 1880s. In 1895 Westheimer dedicated a portion of the land from his plantation to Harris County to provide right-of-way for a short-cut road to Columbus and Sealy. This road was denominated Westheimer Road and runs west from near downtown Houston over thirty miles to Fulshear. It is the longest major thoroughfare in Texas. M. L. Westheimer died at St. Joseph's Infirmary on August 2, 1905, at 3:45pm following an operation. He was buried at Beth Israel Cemetery in Houston. His descendants include a great nephew, the author and playwright David Westheimer. Natalie Ornish, Pioneer Jewish Texans (Dallas: Texas Heritage, 1989). Ruthe Winegarten and Cathy Schechter, Deep in the Heart: The Lives and Legends of Texas Jews (Austin: Eakin Press, 1990). Houston Daily Post, August 3, 1905, August 4, 1905. Handbook of Texas Online, Lionel M. Schooler, "WESTHEIMER, MITCHELL LOUIS," accessed April 18, 2019, http://www.tshaonline.org/handbook/online/articles/fwets. Uploaded on June 15, 2010. Modified on January 17, 2017. Published by the Texas State Historical Association.